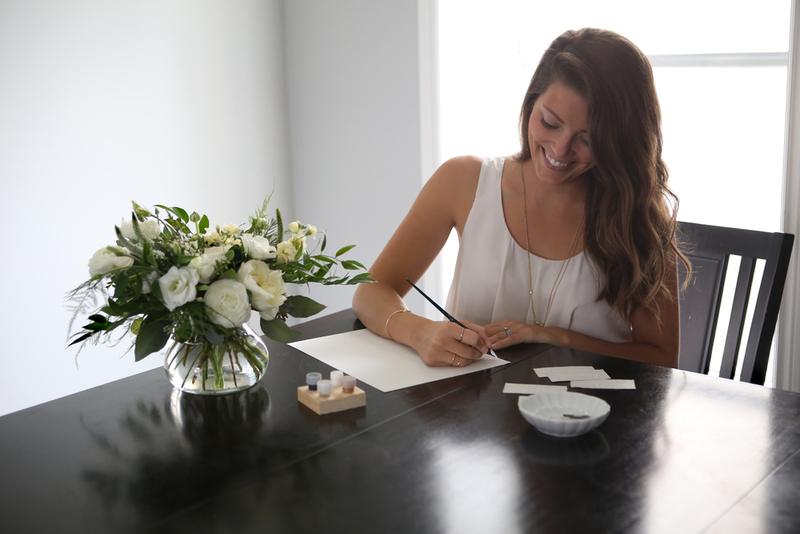 My name is Andrea Naismith, the Calligrapher behind Scarlet & Alabaster. 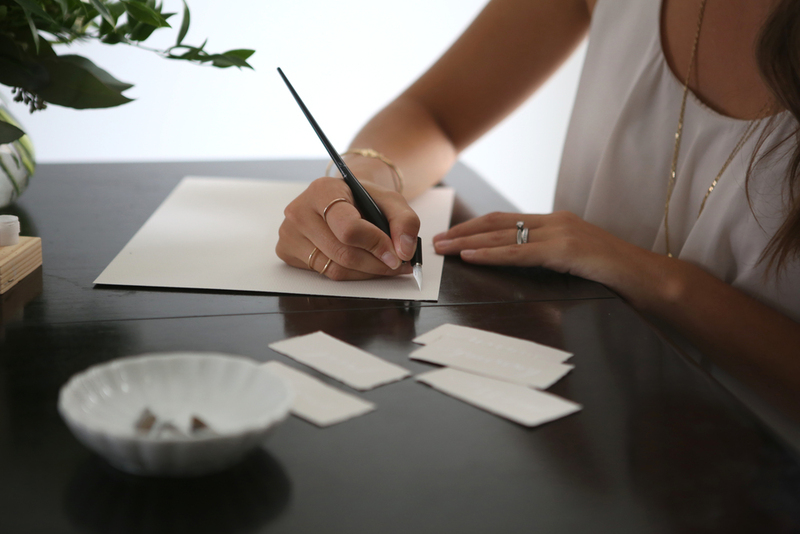 I am based out of Guelph, Ontario and specialize in bespoke calligraphy, hand lettering and design elements for weddings, special events and small businesses. I have always had an artistic side, loved working with my hands and paid a strong attention to detail - especially when it comes to party planning! Finding calligraphy helped me bring all these loves together. I love using calligraphy and hand lettering to help take my client's events and businesses to the next level. When not working, you can find me enjoying good food or a glass of wine with friends, pushing a stroller all over town, scouring local consignment stores or dancing in the living room with my husband and two little men.